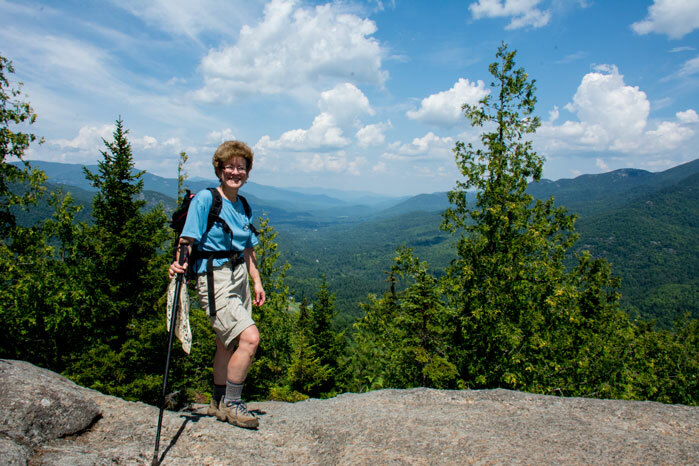 New York's Adirondack Mountain hikes will reward you with one of the best cardio workouts you'll ever experience! This year we met friends for a warm up on Mt. Jo, which was a great family hike. Elevation: 2,876 feet; 700 foot ascent; 1.3 miles. 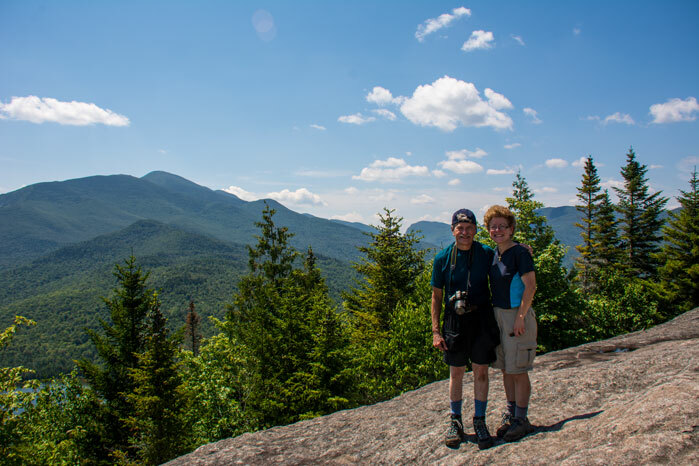 We enjoyed the beautiful view of Heart Lake and Algonquin and Wright peaks. 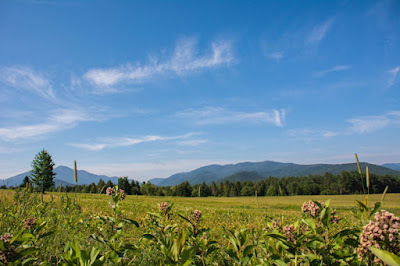 Driving to get to the ADK Loj we passed beautiful wild flower meadows with milkweed. On the way back to our car we stopped by a small garden plot to learn more about native wildlife and plants in the Adirondack region. The next day we decided to climb Noonmark Mountain. Elevation: 3,556 feet; ascent 2,575 feet; 2.5 miles each way. 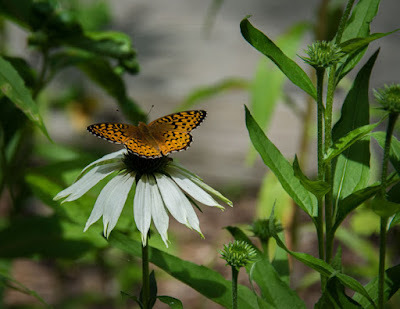 It happened to be one of the hottest days of the summer in the Adirondacks. We packed a lunch and plenty of water to stay hydrated. The short distance gave us the impression that Noonmark would be a fairly easy hike. WRONG! It was a steep, challenging climb. We had a few vistas that we hoped were the summit, only to find out we had more to go to get to the top. Several people passed us that didn't make it to the summit, but we kept on hiking. After a few scrambles over rocks we finally made it. No one else was at the top but us. We had a fabulous 360 deg. view of the Adirondack Great Range.